The prices are decent for downtown and the quality is good. Karaage wasn't crispy and room temp. I won't be raving about it. I didn't even realize that I had made the mistake until after I'd ordered and sat down! Wide variety of items to choose from and the price is super reasonable. The only three things I order are in the title. I recently moved into the neighborhood and was excited to see a Sushi California but i am not a fan of this location. Excellent quality for the price! 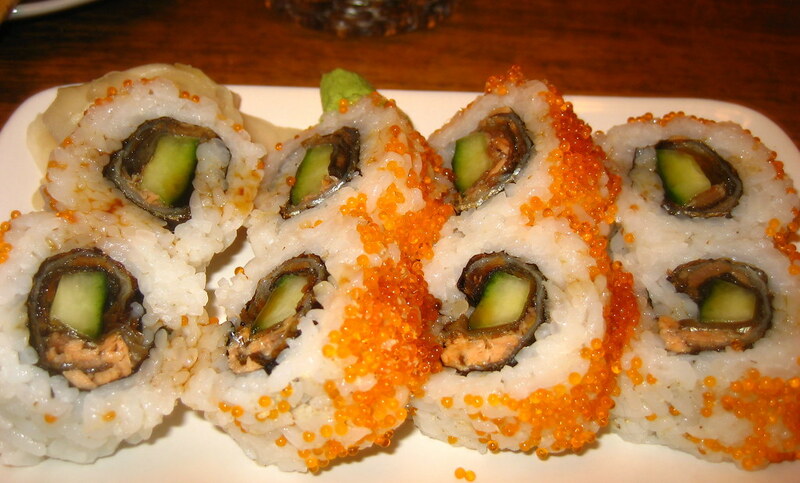 The spicy tuna dynamite roll is pretty awesome. Dont ever believe that they have all the 25 flavours. This place is crowded and always has line-up's - I'm not one for either really. Not as good as to Broadway location. I loved how they present all their items and they just overflow the nigiris I ordered with delicious ingredients. 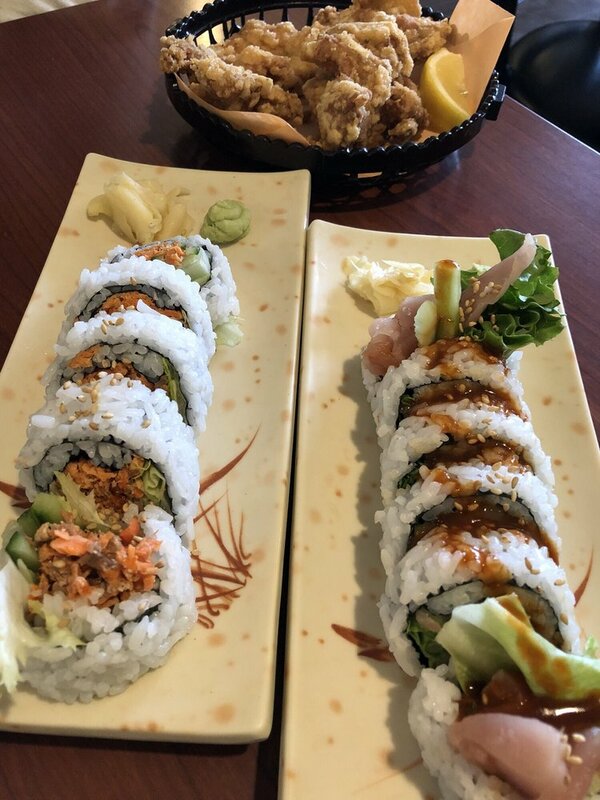 I can be a little picky when it comes to sushi but I am always satisfied here as they go out of their way to make the customer happy! The place looks old and dingy and is super cramped inside. If you go to the Kingsway location be prepared to wait at least 15 minutes. The quality of the sushi here is next to none! I would imagine this place does brisk business at lunch and it is probably quite popular for takeout. Seriously, they are doing something right at Spin Roll. This place is a real prize free tea while you wait, and very limited seating. Some workers are very rude and just straight forward. That was my last visit, and I would suggest somewhere else. Karaage wasn't crispy and room temp. I got the special - 6 piece california roll, 3 piece avocado and 3 piece yam tempura roll. 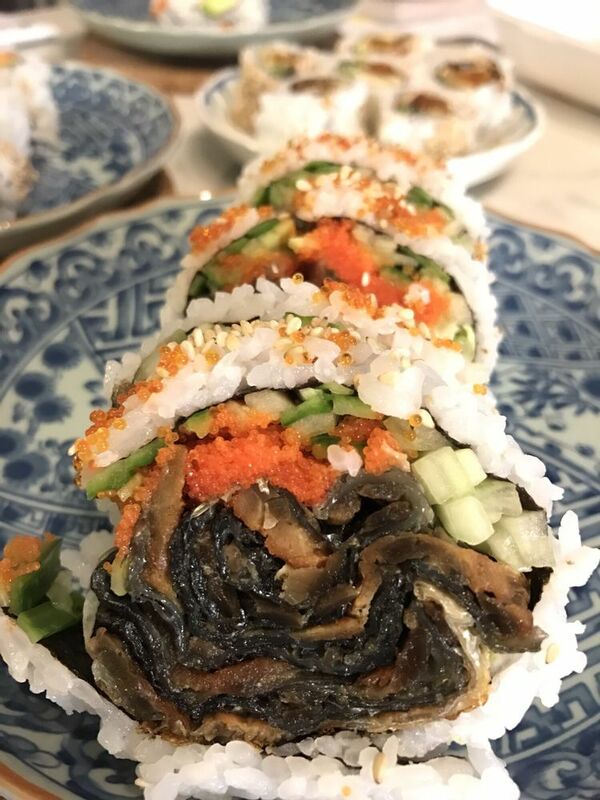 Originally called the Tojo Maki roll, the name was changed to California roll when it proved popular with tourists from Los Angeles. There are 3 locations in the Great Vancouver area. I feel like Vegans should give this place a good try! Do cheap and quality go together very often? We want to hear from you! Service is efficient and fast. I like the rolls here more than zero sushi just a couple shops down because the rolls here stay more together. Not usually, but here they do. It's a good place to grab a quick bite on your way somewhere or if you're dining solo and not looking for ambience. We will go again and would recommend. The menu looked appetizing; they had some interesting sushi combos. All the sushi rolls were very freshly made with different sources. The assembling and presentation of the sushi was okay. This place has the best sushi in a 3 block radius of my office and having only 30mins for a lunch break this place has fast and friendly service. I order from this place often but only for take out. They also served it on a big white warm plate which is awkward for sushi. No more waiting 15-20 minutes for a freakin' avocado roll. You can tell Spin Roll is awesome by the lineup they have during lunch hours. Around this area, it was a toss up between this place or the one a few doors down. This has to be the best option for takeout sushi around the Waterfront Station area. 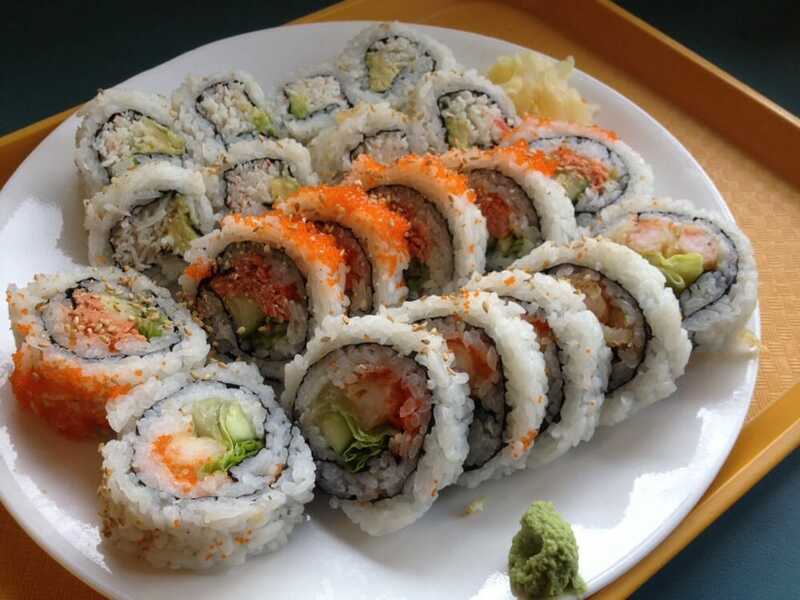 We offer sushi and a variety of other Japanese food. I tried it, so I can vouch for him. I noticed that the avocados were starting to get brown and rice was out of place. Every time I'm back in Vancouver, I always make it a point to stop at a Sushi California! If I worked near here I would come for lunch, but when I have more time I'm willing to wait for better quality and taste. 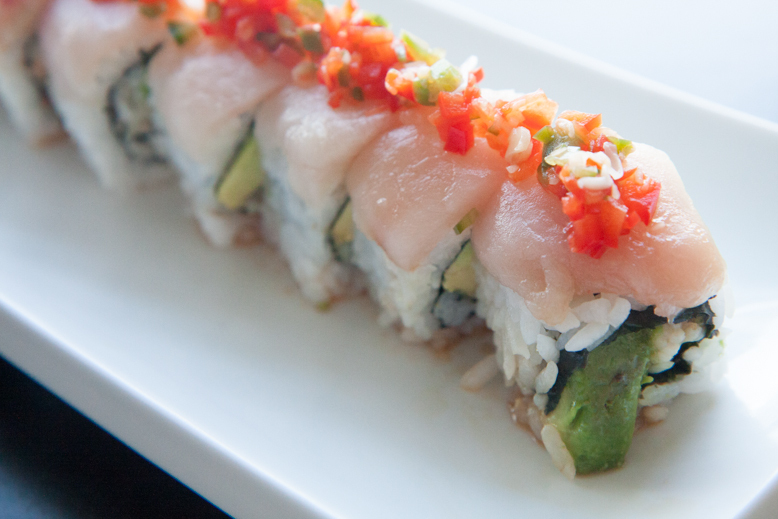 What it lacks in aesthetics and atmosphere, makes up for in budget-friendly tasty sushi. I wanted to like this location but left disappointed. The menu said the sashimi consisted of 19 pieces. The only down-side was trying to make it back for lunch on the weekend and realizing they were closed. There is generally a pretty long wait for food with no comfortable seating. If in the neighbourhood, maybe. And unlucky enough, me and my wife became sick from yesterday's attempt. Excellent flavor, and owner Mia is just great. 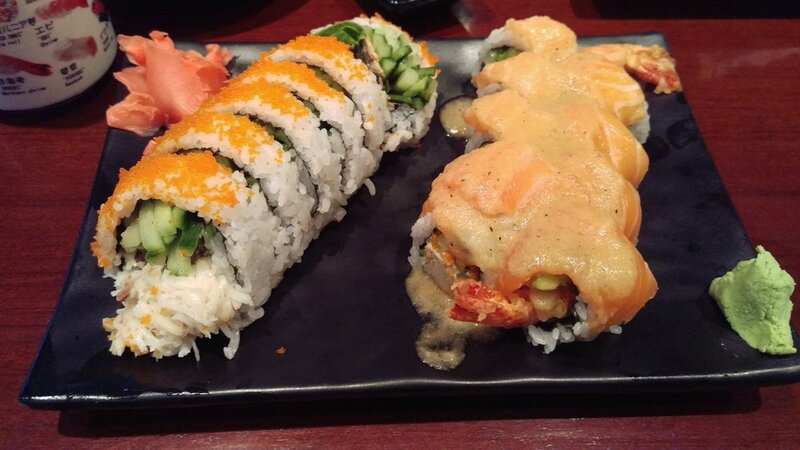 The Dynamite roll was rubbery and cold. 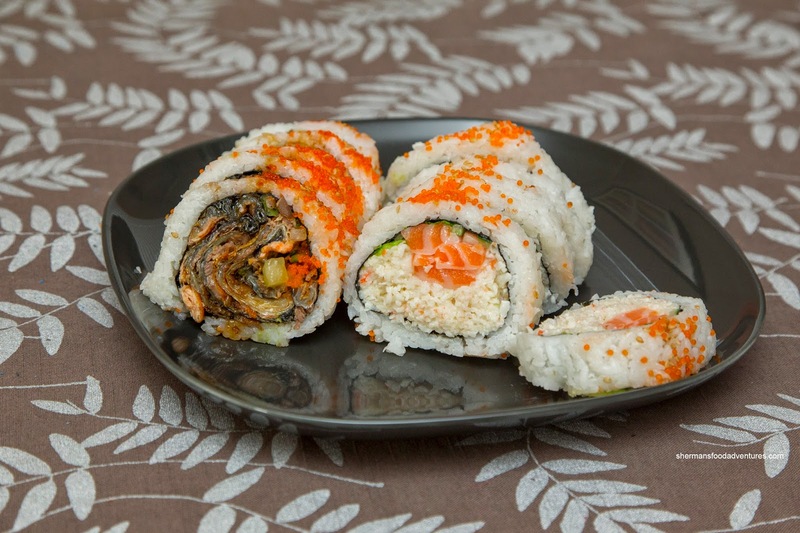 Try customer favourites such as the Spicy Salmon Sashimi, Teriyaki Combo, and Hawaii Roll! I've been to Sushi California in Guildford and am yet to be let down. And it was ok to eat. Go to Hanamori or one of the other sushi places nearby. Maybe I have high expectations because I work in the restaurant industry but the food at this place fell short and the customer service didn't compliment it. Not bad but nothing special. If I worked in this area, this would be a no-brainer for a lunch stop for me. You can choose to pick up or dine-in, and you can always call ahead to order: 778 426-3369. The quality and size of the fish were perfect. The place looks old and dingy and is super cramped inside.